Clemens Baumeister (35) has been appointed Account Manager Sales & Service at Concentric plc, the world's leading manufacturer of oil, fuel and water pumps for medium to heavy diesel engines . Clemens will be working from his office based in Usingen, near Frankfurt and will be responsible for developing the Concentric product range in central and eastern Europe. Clemens joins Concentric from Schuler SMG, the German manufacturer of sheet metal forming equipment for the automotive industry, where he worked first as project engineer and more recently in a sales role with specific responsibility for new business and, geographically, for the Czech Republic and Slovakia. His earlier career was spent at the transformer manufacturer MORA Transformatoren GmbH in Usingen. 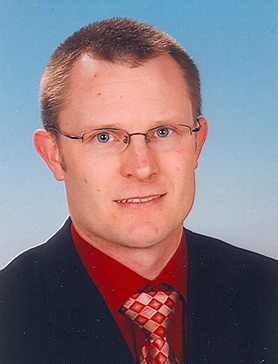 Born in Frankfurt am Main, Clemens holds a masters degree in mechanical engineering from the Darmstadt Technical University, where he also enjoyed practical experience with MAN Roland Druckmaschinen, MEDAP GmbH and LUTZ GmbH. Married with three children, Clemens speaks fluent English and colloquial French. Concentric plc is a major supplier to the world's, truck, agricultural and construction equipment industries with manufacturing facilities in the UK, USA, China and India. In addition to oil, fuel transfer and water pumps for diesel engines, the group also manufactures lubrication pumps for transmissions and compressors.